Like fine wine in Adelaide, residents of Adelaide have a similar taste for premium blooms and exceptional artistry in their florists. And just like wine, the flower industry in Adelaide just gets better with age. These are our top picks for flower delivery in Adelaide that are constantly improving their service along with their awe-inspiring floral designs. Their biggest selling point to customers is their 90-minute guaranteed free flower delivery in Adelaide. So if you need last-minute gifts for an event or if you foolishly forgot your anniversary, then A Better Florist’s express flower delivery will save the day with a professionally handcrafted bouquet filled with farm-fresh flowers. Tynte has a wide price range for their floral products. A tulip bouquet starts at only AUD29 and a hundred assorted roses is priced at AUD690. They also have house plants, preserved roses, workplace flowers and other arrangements for specific occasions. 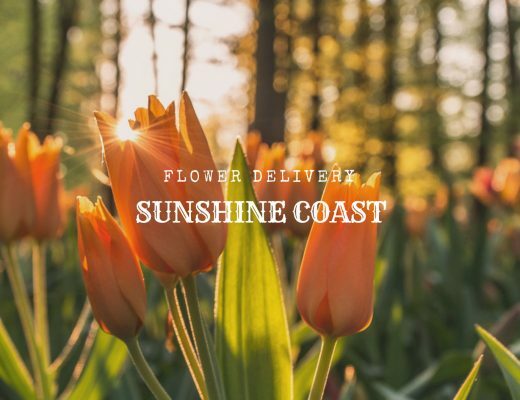 They provide same-day flower delivery in Adelaide metropolitan destinations for orders placed before 4pm on weekdays and before 2pm on Saturdays. East End Flower Market delivers 7 days a week and guarantees same day delivery in Adelaide as well as surrounding suburbs for orders placed before 12pm. Their basic bouquets in upcycled bottles and containers are very affordable. You can choose a palette for your order, from bright, pastel, white and green, and wildflower. You can also add a green bag to your order, their signature EEFM Tote Bag, which customers can reuse for a day at the flower market or other errands. Louise Woodhouse Flowers source fresh flowers daily for crafting unique bouquets and arrangements which they delivery throughout Adelaide. For same day delivery, online orders need to be placed by 12pm. They include care instructions and flower food with each purchase so customers can enjoy their cut flowers longer. They also provide other flower-related services, such as for weddings, events and corporate affairs. The Blu Tulip provides beautiful seasonal flowers available for delivery in Adelaide and the surrounding suburbs. Their bouquets and arrangements look freshly picked and lush, handcrafted with love by a local Adelaide florist. Their interesting, enchanting choices of fillers adds a charming twist and dynamic textures to the floral bunches. Plus, they have a 7 day guarantee which ensures the freshness of the flowers for 7 days! If you follow the usual floral upkeep of changing the water every day, cutting the stems and using the flower food provided by Blu Tulip, the flowers should last 7 days. If the blooms don’t make it to the 7 day mark, Blu Tulip will replace them free! Finally, orders must be received by 10am on the day of delivery in order to guarantee same day delivery. Luxe Blooms is online florist providing flower delivery to Adelaide’s Northern, North-Eastern and North-Western suburbs. Same day delivery is possible in some circumstances, just contact them to find out. Customers also have the option of picking up orders at Blakeview. They specialise in luxury rose boxes, preserved roses that can last a year, and metallic gold and copper roses. At Luxe Blooms, buying flowers online is a quick and easy experience, especially with their friendly customer service. Their upcoming collection of preserved rose boxes will soon be available for interstate shipping, so watch out for announcements on their site. Flower Delights – Gawler Barossa Florist is a family-owned business that has been in operation since 1998 in Gawler. They source high quality fresh flowers directly from local farms, interstate and other parts of the world to create the perfect arrangement for any occasion. Their diverse catalogue of floral designs range from a single-stem rose and mono bouquets to large, striking arrangements featuring a variety of blooms and foliage. 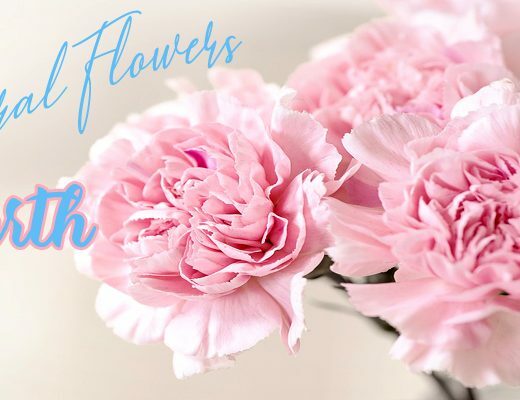 You can likewise collaborate with Flower Delights – Gawler Florist to make your vision come to life with stunning flower arrangements for your wedding or event. Portrush Flowers’ cute little cottage house in the eastern suburbs welcomes you with a smile as you enter. This charm translates into their beautifully designed bouquets and arrangements for birthdays, anniversaries, tributes, functions and weddings. Their lux posies start at AUD 29 with same day delivery applicable for orders placed by 2pm. Instead of sending generic designs your way, their florist pays attention to the little details so that each bouquet is tailored specifically to each customer. The fresh flowers included in their beautiful botanical bouquets are hand-picked fresh from local growers cultivating premium blooms in line with their eco-friendly and conscientious approach to floristry. No job is too difficult, so feel free to collaborate with their team to achieve customised designs or a bespoke bouquet for a special occasion. Miss Flowers keeps their selection small and simple without sacrificing style. The flowers are handpicked every morning to ensure maximum freshness and longevity. Online purchases come with complimentary delivery to specific suburbs. Your chosen recipient for flower delivery in Adelaide will receive the flowers carefully wrapped in natural hessian fabric, paper, string and a complimentary gift tag. Fresh flowers are not the only things you can buy at Miss Flowers. They also sell plants, chocolates, jumpers and oil paintings from local artisans. This homegrown business has been providing fresh, quality flowers and personal friendly service to the community since the early 1980s. Blackwood Florist, located in the Adelaide Hills, has a large selection of creative designs for any occasion as well as unique gifts and home decor. If you want something more personalised and unique, they can create and design to your specific requirements using their quality hand-selected and market-fresh flowers. Blackwood Florist also provides arrangements for weddings and special events in Adelaide, collaborating closely with clients to design the perfect celebration or event flowers and make it a memorable occasion. 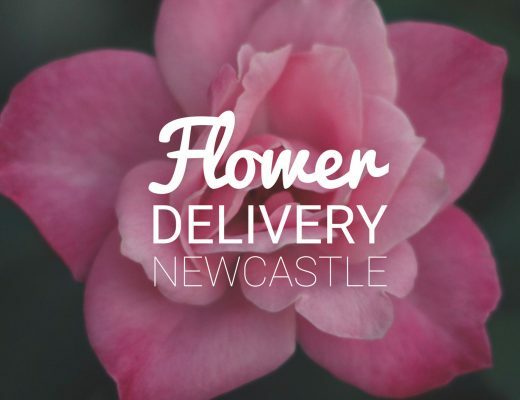 Fresh flower deliveries from Blackwood Florist are available to Adelaide and surrounding suburbs with same-day delivery to orders completed before 1pm. For delivery to a business address, submit your order before 12pm to ensure same-day delivery. They can also deliver on Saturdays if the order is placed before 11.30am. The Flower Web specialises in floral bunches and house plants. You can either choose a flower bunch from their online catalogue or select your own flowers to be arranged by their florist. All flowers are wrapped in their signature brown paper. Flower deliveries in Adelaide are available on Monday to Friday, with same day delivery applicable to all orders placed before 11am (AEST). For Saturday deliveries, orders must be placed before 5:30pm (AEST) on Friday. They do not deliver on Public Holidays. Next day delivery for orders placed by 12pm the previous day. Hayley’s Flower Shop is an online florist based in Adelaide. They provide flowers for all occasions, no matter the occasion, big or small. For fresh flowers every day, you can choose from a curated selection of floral boxes, wrapped hand bouquets and vase arrangements professionally handcrafted for maximum form and freshness. For flower lovers, you can also sign up to Hayley’s floral subscription starting at AUD 40. The Flower Nook welcomes customers to the online shop with a thoughtfully curated collection of bouquets, flower arrangements and potted orchids in varying floral styles. They have bold and colourful hand bouquets for loved ones with cheerful and vibrant personalities. You can also find a simple yet sophisticated arrangement fit for a classy lady. If you want to pamper your significant other with a care package, they also offer candles and skincare which you can bundle with your chosen bouquet.Finally, if you’re not quite sure which arrangement to choose, then let their expert florist whip up a one-of-a-kind bouquet from the freshest seasonal blooms sure to impress anyone. Flowers By Marisa, a Salisbury Florist, offers the finest floral arrangements and gifts backed by friendly and prompt customer service. They always aim to make all transactions as seamless and satisfactory as possible. Their range of floral products and gifts are suitable for various occasions, so you won’t have any trouble finding the perfect present for a loved one. Flowers by Marisa also offers wedding bouquets and wedding function flowers to add to the romantic vibe of your big day. Little Love Co is a small, contemporary florist using freshly handpicked flowers from the markets to ensure longevity. The bouquet will grow as each bloom opens. Their trained florist handcrafts the carefully selected blooms into beautiful, bucolic arrangements. Customers can sign up to their floral subscription service for regular deliveries of fresh flowers. They also offer natural hand-poured soy candles, indoor plants, hanging baskets and designer glass terrariums. Carews Florist, established in 1955, is one of the oldest florists in South Australia. They have gorgeous seasonal bouquets which allow their florist to play with textures and structure. Since flowers are not exclusively for women, you can find variations in designs “for her”, “for him” and for corporate occasions. They also have novelty floral designs, for example a flower arrangement spelling out MUM or in the shape of a dog in case you are looking for something different. You can choose regular, medium or large for sizes and add a toy, balloon, chocolate, wine or different containers with your chosen arrangement. Poppies Flowers only offers one design daily based on the best seasonal blooms available. For just AUD35, you get a whimsical arrangement of farm-fresh blooms which you can order the day before. This way, they can source the flowers, handcraft the bouquet or arrangement and deliver them straight to your doorstep as early as the next day.